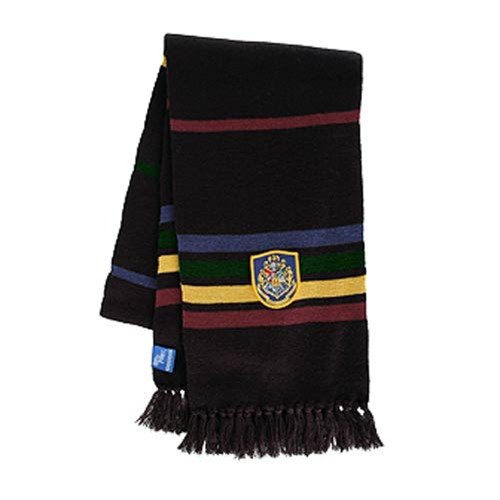 This officially licensed scarf is made of acrylic and features the Hogwarts Coat of Arms patch. The Harry Potter Black Hogwarts Scarf makes a great addition to any Harry Potter Halloween costume, and it can be used for everyday wear, too. The scarf measures 7-feet 1-inches long.